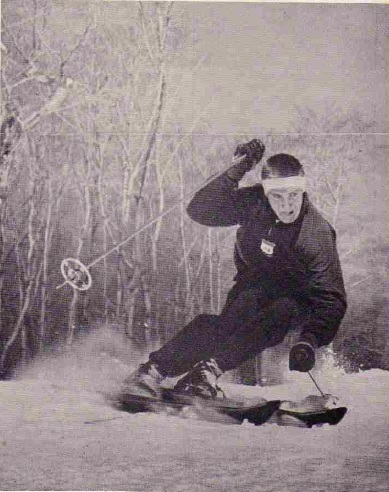 In March of 1955 the Mount Mansfield Ski Club hosted the second American International Ski Races at Stowe. The event attracted some of the top European racers with 25 of the 100 competitors coming from outside the United States. For the American competitors the races carried extra meaning since they were one of two events that would determine the 1956 US Olympic Team. On the women’s side, Andrea Mead Lawrence would win both the slalom and GS and tie for first in the downhill demonstrating that she would be ready to defend her 1952 gold medals. Austrian Anderl Molterer would win both slalom and GS for the men. The third race for the men was the downhill staged on the Nose Dive which still had its famous seven turns. The pre-race favorite was Martin Strolz of Austria who had finished second in the downhill at the World Championships the previous year. However a 19-year-old from Steamboat Springs, Colorado, would serve notice that he would be an American contender on the international ski scene. Wallace “Buddy” Werner won the downhill beating Strolz by 4.7 seconds and beating the previous record time by 9.2 seconds. In 1959 Werner would become the first non-European to win the Hahnenkamm downhill. The only other US skier to achieve that would be Daron Rahlves in 2003 – and that was on a shortened course due to fog! 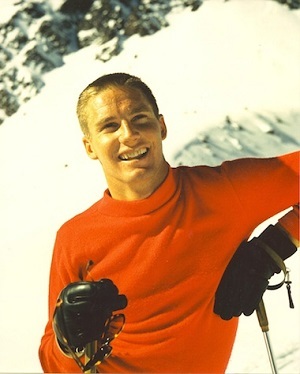 The 1964 Innsbruck Olympics would be Werner’s last chance to win a medal since he had announced his planned retirement from ski racing at the end of the season. Bob McKee was the first to correctly identify Buddy Werner as the Olympic skier from Steamboat Springs. Bob was in Innsbruck for the 1964 Winter Olympics and actually attended the US-Finland hockey game with Buddy Werner. Bob says that Werner was one of those rare people who was an intense competitor, but still a nice guy that everyone liked. Even the Europeans were rooting for Werner to win a medal. Werner placed 17th in the downhill and then DSQed in the GS. Bob was watching from the bottom of the slalom course to see Pepi Stiegler, Billy Kidd, and Jimmy Heuga take the gold, silver, and bronze while Werner finished 8th. Despite that disappointment, Werner was the first to embrace and congratulate his young protégés, Kidd and Heuga, on their medal results. 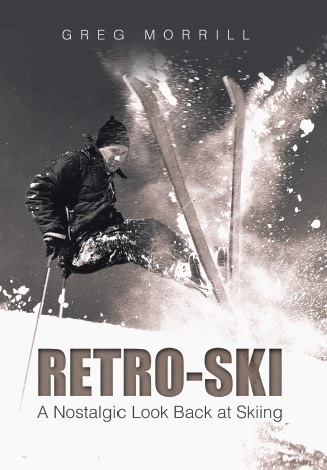 After the 1964 racing season ended, Willy Bogner recruited Werner for a big-time ski movie he was making called “Ski-Fascination”. On April 12, 1964 Bogner, Werner, and German Olympic medalist Barbi Henneberger were skiing and filming near St. Moritz. They were on their second run on a particular slope when it avalanched. The legend has it that Werner and Henneberger out-skied the first avalanche only to be caught in a second one where both Werner and Henneberger died. Werner’s hometown of Steamboat Springs renamed the primary ski mountain at Steamboat from Storm Mountain to Mount Werner. If you ski there, you’ll find a run named after him, Buddy’s Run, and in the town the Buddy Werner Memorial Library which was established from world-wide donations. Pretty sure Martin Strolz was from Austria, not Germany. My recollection is he was from Lech am alberg. on to my friends, so with any luck they may like it as well.